A turning point in YouTube history. 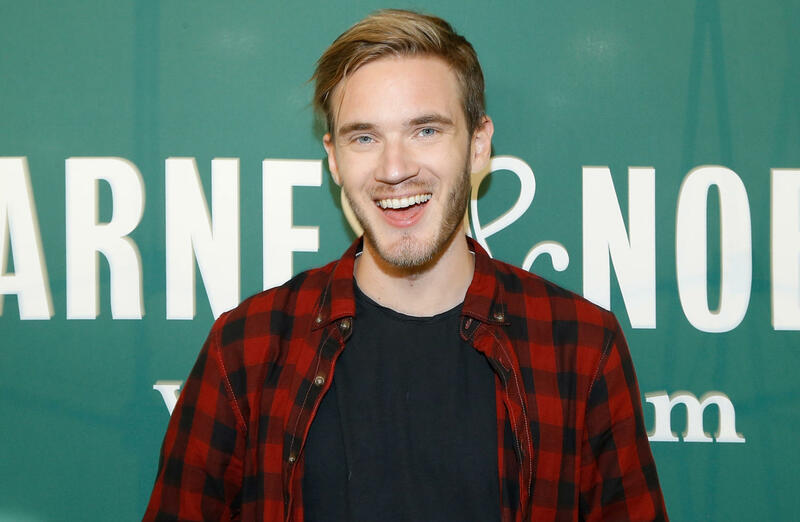 PewDiePie is an independent creator on YouTube who has been the top subscribed YouTuber for 5 years. He has been a big inspiration to other creators, and he has continued entertaining his fans even through tough times in Youtube history. Recently, a competitor named “T-Series” has been gaining subscribers, to the point where the gap between them was only 10s of thousands of subscribers away. PewDiePie is in danger of losing his number one spot on YouTube, and many are worried that other large companies like T-Series will take over YouTube. “If T-Series were to win, it would be a new dawn of companies who already have money, dominating the media we consume,” explains iSchool freshman, Nick Kloor. T-Series is an Indian music record label and film production company. PewDiePie started making YouTube videos in 2010, and got very popular in 2013. By 2014, he was the top subscribed Youtube of all time, mostly making video game content. Why is everyone so obsessed with this PewDiePie vs T-Series thing? Many people who are involved with or watch YouTube believe that if T-Series takes the crown of the top subscribed YouTuber, other large media companies may be inspired, and find out that they, as well, can gain popularity from YouTube. If this occurs, independent creators like PewDiePie could be shut down, and YouTube will never be the same, influenced by large companies. The subscriber gap between PewDiePie and T-Series was 16k at one point, and the whole competition started when PewDiePie was at 65 million subscribers and T-Series was at 59 million subscribers. PewDiePie has gained over 15 million subscribers since the beginning of the fight against T-Series. One website which provides real time social media information is SocialBlade, which is tracking PewDiePies subscriber count here. PewDiePie has gone through controversial times, although many of them were not supported with clear evidence. A lot of news sites are trying to find ways to put down PewDiePie, calling him a racist, sexist, and a fascist, when he’s just trying to entertain people. He made some mistakes, and had deeply apologized for the ones that he knew were not okay. He has made 2 big mistakes, and he’s learned from them, even though a couple news sites have shamed him for them. They bring up tiny jokes in his videos, which are said to be interpreted the wrong way. In general, PewDiePie has done much more good than he’s done bad, like recently donating $237,000 to CRY, a charity which helps kids in India in child labor. There are 33 million kids in India 5-18 years old who are being overworked. 1 in 11 children (5-18) in India are working. Felix has helped this charity and more, yet news sites like Vogue, or Vox oversee this, and look back at mistakes that have happened 2 years ago. Vox says things like, “Felix Kjellberg, a.k.a. PewDiePie, has lately made the news for his alignment with YouTube’s growing community of white supremacists.” Clearly, Vox hasn’t watched a full PewDiePie video, as they only quote sentences or freeze frame videos that can be seen the wrong way, and use that as evidence to show their viewers. A couple of kids in iSchool are rooting for PewDiePie in this battle, and they are recruiting other students for the cause. One student, who is on PewDiePie’s side at iSchool, Nick, is calling students to subscribe to PewDiePie, not because he’s a great channel, but to save YouTube from getting taken over by companies. There are a couple ways that people can support the growth of Felix’s channel: you can either do it as a joke by following this meme that PewDiePie needs to stay the most subscribed YouTuber or you can prove to people that YouTube is the place for independent creators. Many people agree that YouTube’s representation of the site is declining in value. YouTube Rewind is flawless evidence of this, as 2013 was agreed by many users as one of the best yearly summaries on YouTube, yet like to dislike ratios are getting worse and worse to the point where the most recent YouTube Rewind is the most disliked video on their own site, with 2 million likes, and 13 million dislikes. This year’s Rewind included YouTubers who haven’t posted in over a year, celebrities with no connection to YouTube, old trends, and no PewDiePie or MrBeast, 2 YouTubers who have exploded in 2018. All of this shows that YouTube is not being represented the way that many frequent users actually see it. James explains, “YouTube was originally about the common man making whatever he wanted, independent creators could become famous” and that “T-Series’ mere existence as the 2nd most subscribed channel is a threat to independent creators.” This is one reason why PewDiePie and a couple meme creators made their own 2018 YouTube Rewind which is now the most liked non-music video of all time on YouTube. In the end, PewDiePie is in danger of losing number one. The consequences are explained above, and you can chose to help independent creators, or lose the concept of YouTube itself.